Terah DeJong, country director of the Tetra Tech-implemented U.S. Agency for International Development (USAID) Property Rights and Artisanal Diamond Development (PRADD II) Project, discusses the introduction of new technology in the diamond mining areas of Cote d’Ivoire, and how technology has increased the volume of stones that enter the legal chain of custody, leading to increased earnings and more sustainable livelihoods for miners. All opinions expressed in this post are the author’s own. In a recent post on the USAID LandLinks blog, Terah reflects on the recent achievements of the Tetra Tech PRADD II—a joint USAID and European Union initiative—to help governments to implement diamond mining best practices in Côte d’Ivoire and Guinea. Tetra Tech also is helping promote good governance at the international level through the Kimberley Process, an international mechanism that prevents rough diamonds from fueling conflict. 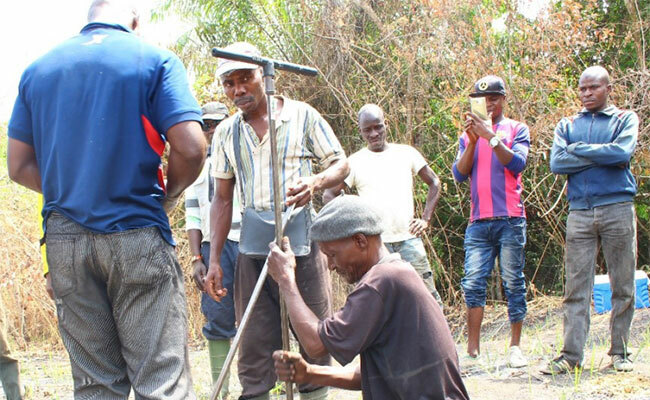 During a recent test of the first-ever diamond washplant for artisanal miners in Côte d’Ivoire, Bobochi, the president of the local miner’s cooperative in Oussougoula village, recounted how the “jiggy-boy” revolution in the 1950s changed his life. At the time, some foreign-owned, semi-industrial companies were closing operations in the diamond mining area of Séguéla, and artisanal miners moved in, hoping to find diamonds that may have been left behind. Few knew the proper technique for swishing around the gravel in a way that removes silt and sand, while concentrating the denser diamonds. After learning this swishing technique from a Sierra Leonian migrant worker, young Bobochi would roam the bush shouting “jiggy-boy!” to advertise his swishing services. Bobochi has been an artisanal miner ever since, thanks to the technology knowledge transfer from the Sierra Leonian. Since then, the round jig he used gave way to a rectangular one. Another simple but also revolutionary change included water pumps, which made it possible to mine year-round. Now the Property Rights and Artisanal Diamond Development (PRADD II) project enters into the picture. 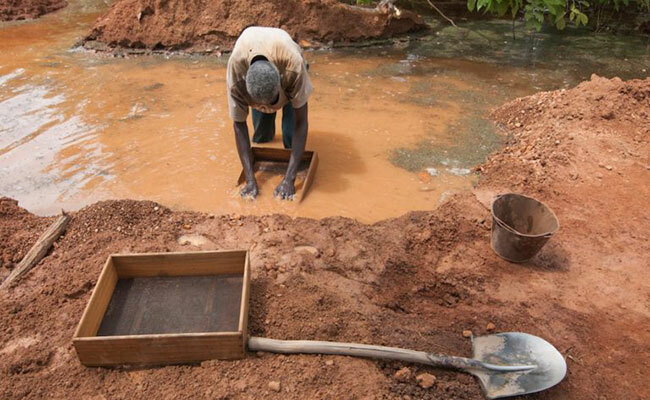 The USAID and EU-funded PRADD II project supports governments to implement mining best practices in Côte d’Ivoire and the Central African Republic, and promotes good governance of the mining sector at the international level through the Kimberley Process, the international mechanism that prevents rough diamonds from fueling conflict. 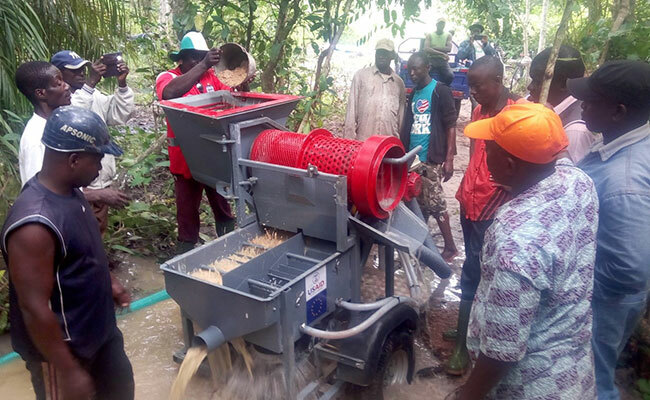 After years of consultation with artisanal miners like Bobochi, PRADD II introduced two new game-changing technologies: a hand auger and a semi-mechanized portable washplant. Read the full post on the USAID LandLinks blog.